David has a diverse legal background, which includes advocating for hundreds of consumers injured by the worst environmental disaster in United States history; the BP Oil Spill. The difficulty of representing disenfranchised people in dire need (as the result of criminally negligent actions by a giant corporation) left a permanent mark on David that drives him to this day. Following his work on the BP Oil Spill, David continued fighting for consumer rights on a variety of contractual and regulatory matters. His regulatory work led to an opportunity in the complex collections industry, within which David spent several years representing mostly small and mid-size businesses. In that time, he learned the tactics and strategies used by businesses and their legal counsel to obtain pre and post judgement collections from consumers. 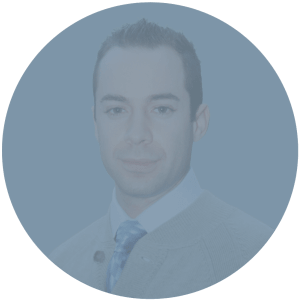 His background has provided David with a keen sense of what makes a good deal, as well as how to negotiate and push for those deals. Today, he uses these skills to help clients repair bad credit and fight lawsuit threats and demand letters, which in many instances may be unlawful. David thrives on a challenge and takes pride in exceeding client expectations.